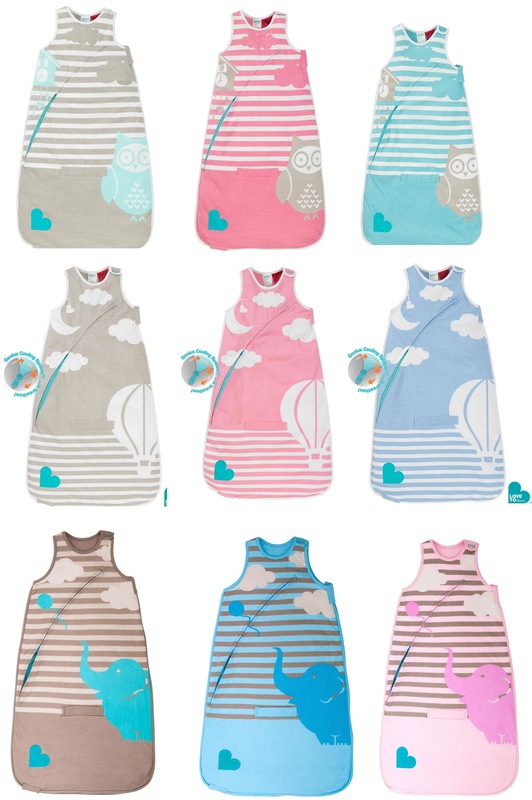 13 comments on "Love To Dream inVENTA Sleep Bag: Review & Giveaway"
I'd love to win an inventa sleeping bag as they look so cosy and warm and I could worry less about blankets at nap times! My fingers are crossed, I love the elephant! It not only looks warm but it sounds like it is designed so no child over-heats as well. That's why I would like to win one. These sound amazing! I've been a cranky pregnant lady who is sick of not being able to sleep deeply because I'm worried about my toddler wriggling out of her blankets on these cool cool nights! She does have 2 sleep bags, but they're cheap & nasty ones : 1 is too thick and she steams up inside it, and the other is quite light and often isn't warm enough. Every night is a guessing game of what we should dress her in for bedtime. I would love to have a good quality one for her, and for her little sister who will arrive soon! Sleeping bags have made baby's bed time so easy for us, and the little bean loves them!